Two weeks ago, the town of Charlottesville Virginia was the location of a rally by members of the so called “white nationalist” movement (really a white supremacist movement) over the proposed removal of a Confederate statue. A peaceful counter protest was organized for the next day as the alt, and one of the people from the white supremacist / alt-right (I’m going to use those words interchangeably because the members of the alt-right who protested in Charlottesville were definitely white supremacists based on the Nazi flags and racist chants) got in his car and drove into the crowd at the counter protest, killing Heather Heyer and injuring 19 others. This happened on August 12th. 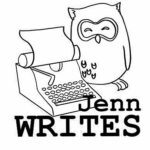 On August 13th, there was a CFL game scheduled between the Saskatchewan Roughriders and the British Columbia Lions and as I tuned in, I noticed something different about the sideline apparel being worn by players and coaches on both sides. You see, normally on a CFL sideline you’ll see coaches, training staff, and injured players decked out in golf shirts (or in cooler weather sweatshirts or jackets) emblazoned with the team’s logo on it. Sometimes you’ll see a t-shirt or two but they’re not as prevalent as the polo shirts or golf shirts. On August 13th, almost every player, coach, and staff member I could see was sporting a grey shirt with a very simple yet poignant message: Diversity is Strength. 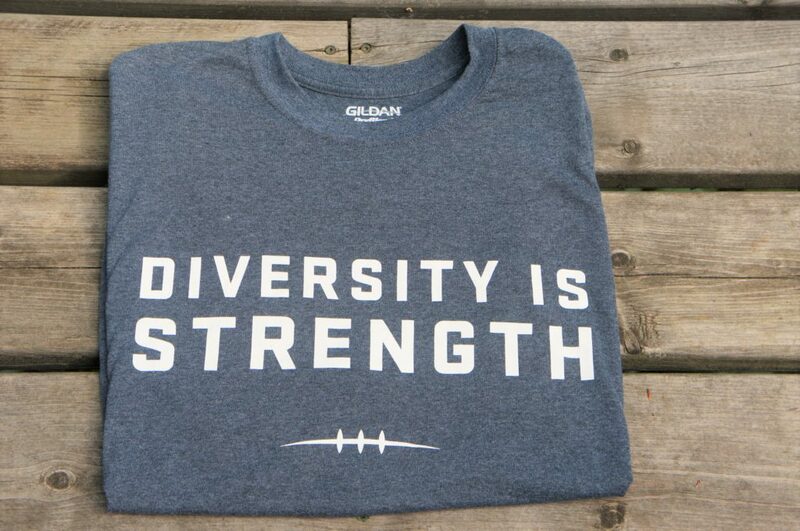 The back of the shirts had the names of 32 CFL players representing the diverse nature of the league. Some of the names I recognized immediately, they were the legends of the game I’d heard tales about growing up. Others were players or coaches that I’ve been fortunate enough to get to see or meet during my lifetime of being a CFL fan. The front of the shirt is beautiful and simple. Please tell me these are available for purchase. Please. The names on the shirt tell the tale of the CFL – a league where the colour of your skin didn’t affect your chance of starting (though the country of your birth might due to the import rule). I grew up idolizing quarterbacks like Tracy Ham, Warren Moon, and Damon Allen – amazing quarterbacks who happen to be black and didn’t think anything of it until an American friend commented about the CFL having “a lot” of black quarterbacks. I knew about Bernie Custis – the first black man to play quarterback in Canadian professional football. Custis played for the Hamilton Tiger-Cats in the 1950s, at a time when the colour of his skin made him ineligible to play his chosen profession in the NFL (he was drafted by Cleveland and they told him he had to play safety instead of quarterback, not due to skill, but due to his race, Custis declined and came north of the border to play). Tom Casey was the stuff of legend on and off the football field. He was the first black player to be inducted into the Canadian Football Hall of Fame in 1964, but that’s not what impressed me at first. What made him a legend in my eyes was that the man was going through medical school while playing professional football for the Winnipeg Blue Bombers. As if being a professional football player or medical doctor wasn’t time consuming enough, Dr. Tom Casey did both – while playing on both sides of the ball as was common in the 1950s. He’s basically superman in my mind. The back of the Diversity is Strength Shirt. Then there was Normie Kwong – born in Alberta to Chinese parents, he was the first CFL player of Chinese heritage. Zenon Andrusyshyn was a legend to me growing up – he was born in Germany but grew up in Ontario and became a punter for the Toronto Argonauts. He still holds the record for the longest punt in football history – 108 yards. There’s also Bobby Singh who was born in Fiji to parents of Indian heritage, he’s the only player to have won a Grey Cup, a Super Bowl, and an XFL championship. 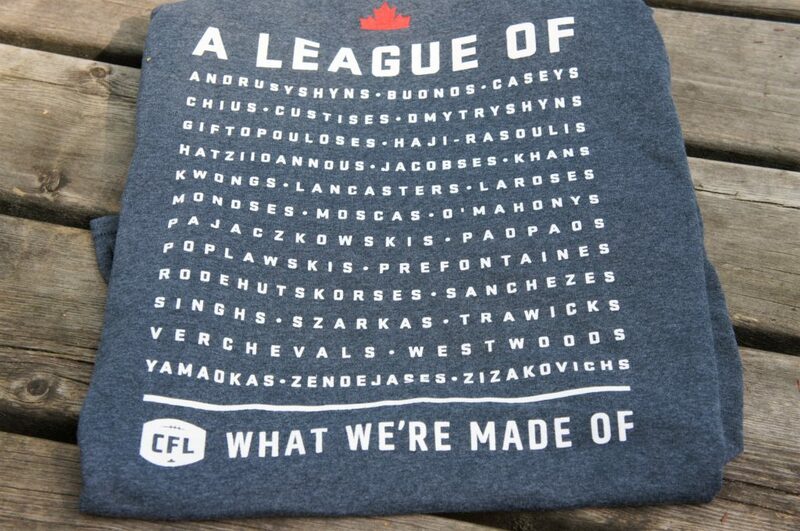 Seeing the names on this shirt made me so incredibly proud to be a fan of the CFL. Many of the names made me smile – Noel Prefontaine and Troy Westwood were more of my place kicking idols, Ron Lancaster and Wally Buono are coaching legends, and Angelo Mosca is one of the greatest characters in CFL history – he was also a professional wrestler and there was a now legendary fight between him and Joe Kapp at the 2011 CFL Alumni Luncheon over a hit in the 1963 Grey Cup game. Today, I wore my shirt proudly as I drove up to the cottage for a weekend away with friends. I made two stops on the trip, and both times people came up to me to tell me how awesome my shirt was or offer an anecdote about one of the names on the back. The stories behind the names on the shirt are ones of inclusion, strength, and what makes the CFL so awesome. The current league slogan fits perfectly with the theme of the shirt – because diversity and inclusion are What We’re Made Of.